When Krystal Mowers from Kylemore was 13 years old, she became a caretaker to her bedridden grandmother along with her mother and aunt. This experience would years later fuel her dream to become a frail care assistant. “My grandmother was bedridden and lived with my aunt most of the year, but during the holidays, she would stay with us and my mother and I would take turns taking care of her. This experience provided me with a whole other perspective of what it actually meant to take care of the elderly and many years later inspired me to become a frail care assistant for elderly persons,” explains Mowers. Today the 27-year-old mother of two looks after an elderly gentleman in Paradyskloof, Stellenbosch, who lives on his own. While Mowers may have been clear from a young age about the career she wanted to follow, circumstances made the road she had to travel to pursue that dream a lot longer and bumpier than she expected. 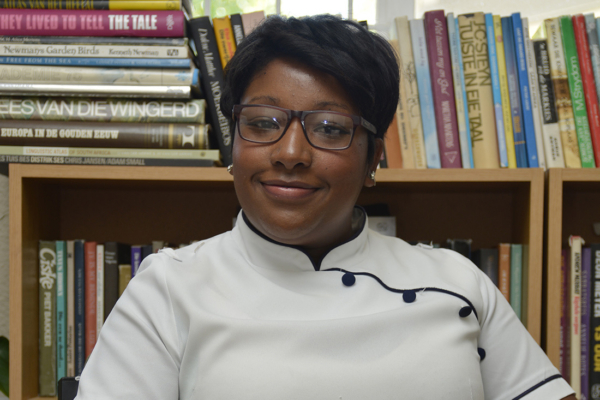 In 2008, while finishing the second year of her studies in Beauty Therapy as a student at Rosebank College in Cape Town, Mowers fell pregnant. “My parents were really upset about the fact that I had fallen pregnant and immediately withdrew me from the course I was studying. 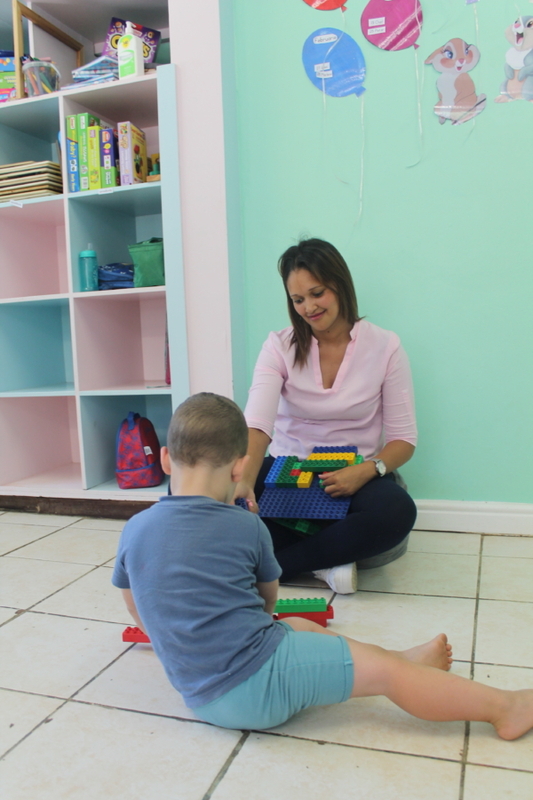 I did not want to waste my parents’ money any further and so, after my son turned one, I decided to start working as a cashier at a local Caltex petrol station,” she explains. Later Mowers left that job for another as a call centre agent and a few years later started working as a cashier at an in-house café at British American Tobacco. In 2013, Mowers got married and a year later, her second child, a little girl, was born. Shortly thereafter, her cousin told her about Bergzicht Training, a NGO based in Stellenbosch that helps poor, semi- and unskilled as well as unemployed persons in the Western Cape to improve their lives by equipping them with practicall skills through their Self-Empowering (previously Home Management), Educare, Health and Frail Care and Professional Cooking programmes as well as short courses in entrepreneurship, life skills and computer training. 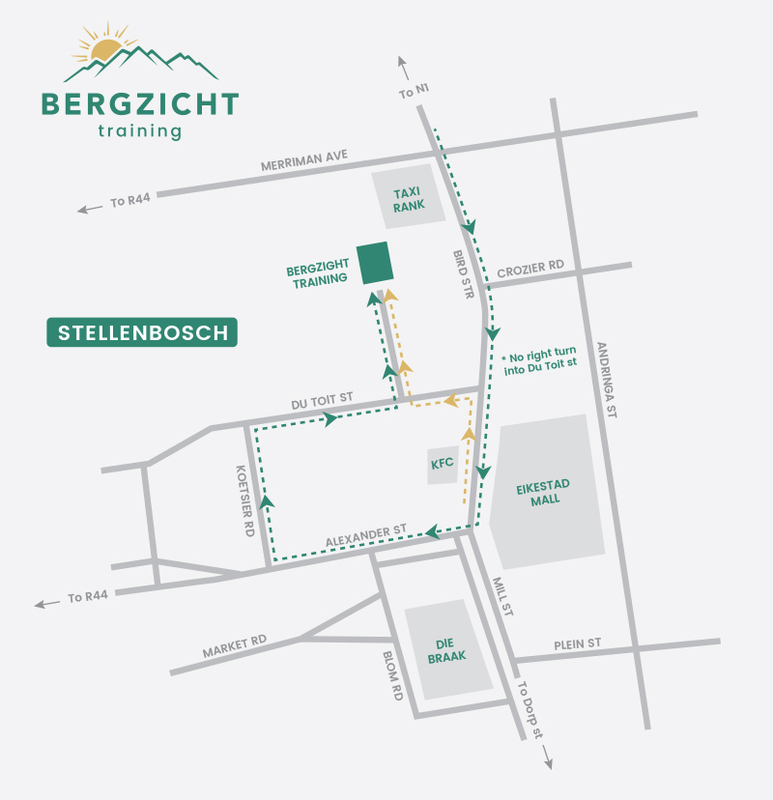 One day, while she was in town with her husband, she saw the students from Bergzicht Training in their Frail Care uniforms and immediately walked over to Bergzicht’s offices to apply for the Health and Frail Care Programme. For a month, Mowers patiently waited to hear back from the NGO and eventually got word that she had been accepted for their Life Skills course. After completing the course, she once again had to wait for the next programme to start, but with finances tight, Mowers needed to find work to help her husband, who had been taking care of household expenses on his own while she studied. “I started working as a waitress at Simondium restaurant, however, the money I earned was very little and most of the household expenses had to be carried by my husband. It was a truly challenging time for us, because our children were in school and we had to find money somewhere to pay their school fees to ensure they stayed in school. It really wasn’t easy, but with my husband’s support, I made it through,” says Mowers. A month later, Bergzicht contacted her to enrol for the Self-Empowering Programme, but as soon as she completed that programme, she was back at home waiting for the Health and Frail Care Programme to start. “Financially, we were really in a bad position, and all the other places I enquired about nursing were too expensive, so I could not even apply for their courses. In the time that I worked and waited for the next programme to start at Bergzicht, I also would put away some money here and there to hopefully apply for a nursing course in future. But something always came up or the children needed some stuff and then you would dip into those savings and use it for that instead,” explains Mowers. At night, while her husband worked long hours in the hospitality industry, Mowers studied and looked after the kids. When they went to bed, she continued studying late into the night. She also drew on the skills she had learnt during her Life Skills course and started planning for her future and figuring out ways to implement those plans. While Mowers is passionate about the work she does as a frail care assistant, she also wants those who are interested in the field to understand that it is a physically and emotionally taxing career, which requires one to be strong in character, but gentle of nature. According to Mowers’ employer, Deidre du Toit, Mowers provided exceptional care to her late mother and is now doing the same for her father. “My mom used to call her an angel,” says Du Toit.